The terms responsibility and accountability are often used interchangeably by the people, due to some similarities like the flow of both of these two, is from bottom to top. Although, they are different in the sense that, in the case of responsibility, a person does what he/she is asked to do. On the other hand, in accountability, a person agrees to do, what he/she is supposed to do. The basic difference between responsibility and accountability is that the former is assumed whereas the latter is imposed. While responsibility is understood as an obligation to perform a particular task, accountability denotes answerability, for the completion of the task assigned by the senior. Meaning Responsibility is the state of having duty, to do whatever it takes to complete the task. Accountability is the condition, wherein a person is expected to take ownership of one's actions or decisions. What is it? Obligation to perform the delegated task. Answerability for the consequence of the delegated task. Delegation Done but not entirely. Not possible. Responsibility is defined as an obligation to perform or complete the assigned task. It is the duty of the subordinate to complete the delegated task adequately. It is generated out of a superior-subordinate relationship, where the junior is bound to perform the task assigned to him by the senior. Hence, the flow of responsibility is top-down, as the subordinate is responsible to his/her senior. The word responsibility describes a person or group who is complete in charge of something and will ensure the work will be done properly. The term accountability means a sense of being answerable for the final consequences. 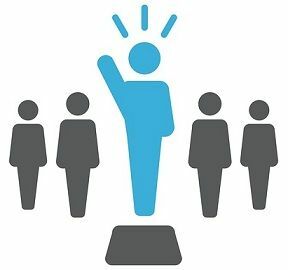 When an authority is delegated, the employee is empowered to perform the task for his superior, but the superior would still take the ownership of the final result. The flow of accountability is bottom-up, as the subordinate would be liable to the superior for the task. When a person is accountable for something, he is supposed to explain the outcomes of his actions, decisions, and omissions. It denotes an individual or group who are ready to make good or take the blame if the work is not completed properly. The state of having the duty, to do whatever it takes to complete the task, is known as responsibility. The condition, wherein a person is expected to take ownership of one’s actions or decisions, is called accountability. Responsibility refers to the obligation to perform the delegated task. On the other hand, answerability for the consequence of the delegated task. Responsibility is assigned whereas accountability is accepted. The origin of responsibility is the assigned authority. On the contrary, accountability arises from responsibility. Responsibility is delegated but not completely, but there is no such thing like delegation of accountability. The performance of a person is not necessarily measured when he/she is responsible. Unlike, accountability, wherein the person’s performance is measured. Responsibility is something, wherein a person is held responsible before or after task. In contrast to, accountability where a person can only be accountable after the task is performed or not performed satisfactorily. After reviewing the points, it is clear that accountability makes the person accountable for the consequences of the actions or decisions made by him/her. As against this, consequences are not necessarily attached to the responsibility. Further, accountability requires a person to be liable and answerable for the things, he/she does. Conversely, responsibility expects a person to be reliable and dependable to complete the tasks assigned to him.